This K-9 is trained in dog obedience and practical dog agility, criminal apprehension, handler protection, area search, tactical building search, felony vehicle stops, scent discrimination trailing, drug detection, and explosives detection. This K-9 is trained in S.W.A.T. or SRT applications for suspect apprehension only. These dogs endure machine gun tests, vehicle apprehensions, attic and crawlspace apprehensions, large building searches/apprehensions (dormitory, office, residential, etc. ), and wilderness apprehension searches. 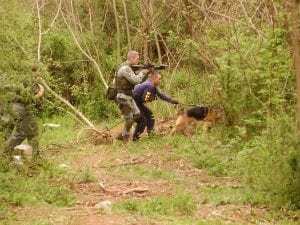 These dogs are conditioned to tear gas, flash bangs, tactical equipment, S.W.A.T. shields, etc. Stealth and Bark/Hold available. 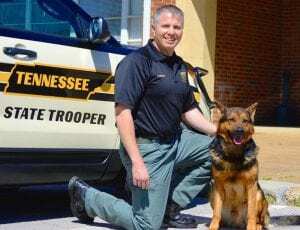 This K-9 is trained in dog obedience, dog agility, apprehension, handler protection, tactical building searches, felony vehicle stops, area and wooded searches, and scent discrimination trailing. This K-9 is trained in either aggressive or passive narcotics detection or explosives detection and basic practical dog obedience. This dog can also be trained to perform man trailing as well. We offer several programs, which include scent discrimination trailing, wilderness air scenting (bark or re-find alert), bark alert, and cadaver recovery. Some of these areas can be cross-trained. Please visit the search and rescue page of our website for more information. 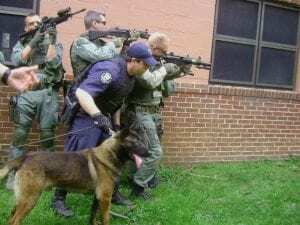 Our SWAT K-9 training is based on National Tactical Officer’s Association standards. We have one S.W.A.T. 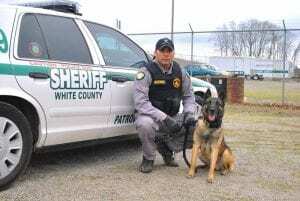 K-9 police dog, and she is the only one of six S.W.A.T. 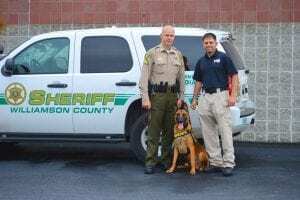 canines to complete the NTOA recognized course in the state of Tennessee. She is also the ONLY canine that’s not municipality owned and ready for S.W.A.T. deployment. 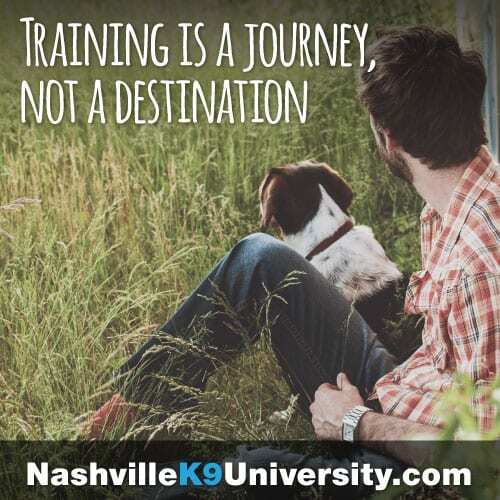 She was raised, trained, and certified by Nashville K-9.